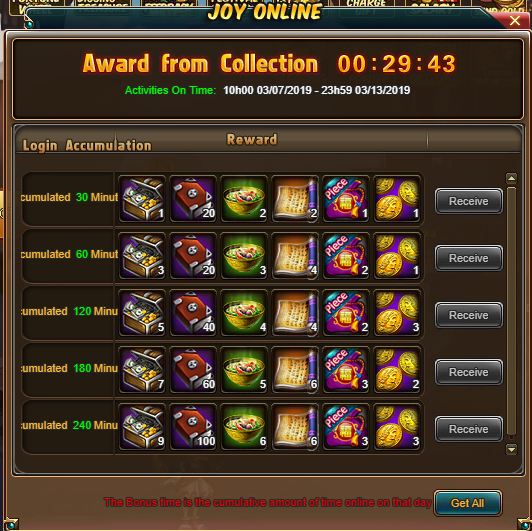 Time: March 28 - 23h59 April 03, Coin transfer Gold in game x2 (x2 gold no VIP). 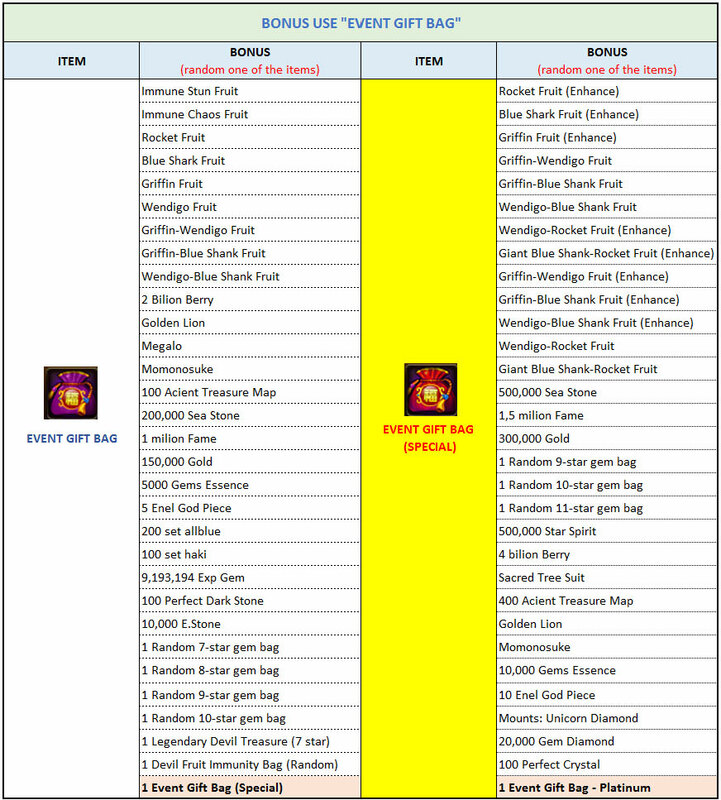 Time: 0:05 am March 28 - 23h59 April 03, Gamer transfer 100,000 Coin to Gold in game will receive the gift. Unlimited number of receipts. 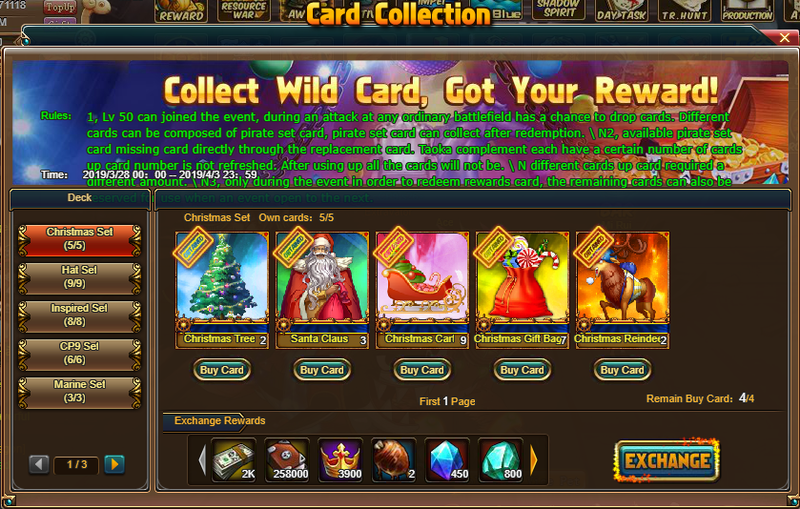 Example: Transfer 250,000 Coin vào game bạn nhận được 75,000 gold (no gold from promotion) You will receive 2 times gifts, 15,000 gold residual accumulated for later receive . 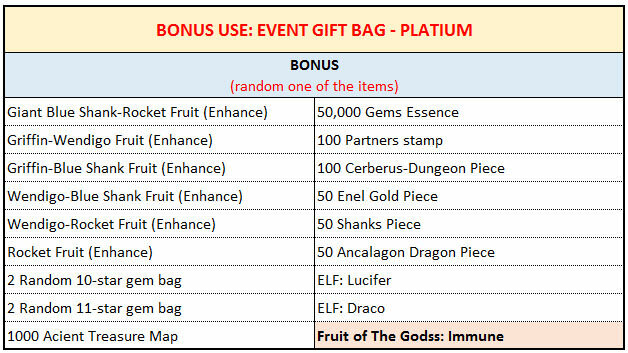 Note: Using "100 Piece gift bag" will get "1 Event Gift Bag". Using "Event Gift Bag" will get many VIP items. 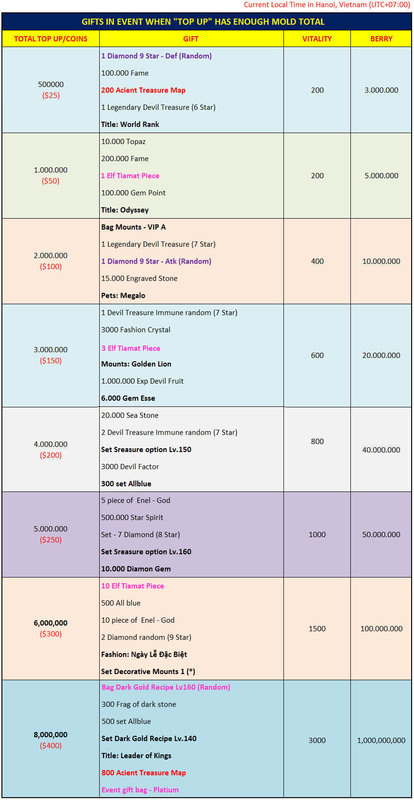 + Event Gift Bag (Special) = 2 Event Gift Bag + 200 Acient Treasure Map at "Blessing"
Time: March 14 - 23h59 March 20, Gamer transfer Coin to Gold in game will receive the gift. Molds Top Up will reset daily. 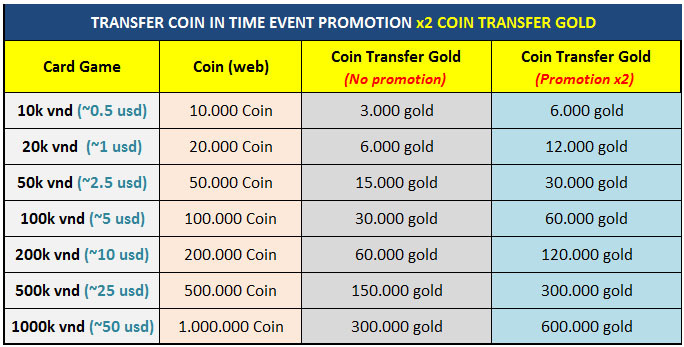 Time: March 28 - 23h59 April 03, Gamer transfer Coin to Gold in game will receive the gift. 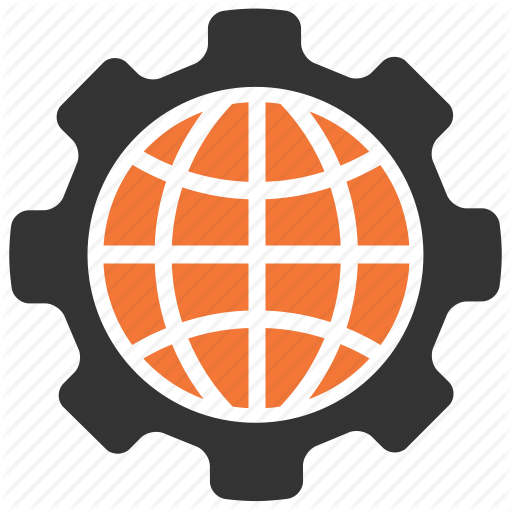 Molds Top Up NO reset. 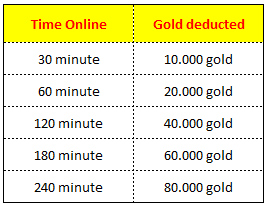 However, if you don't have enough time online, you can use gold to receive it. 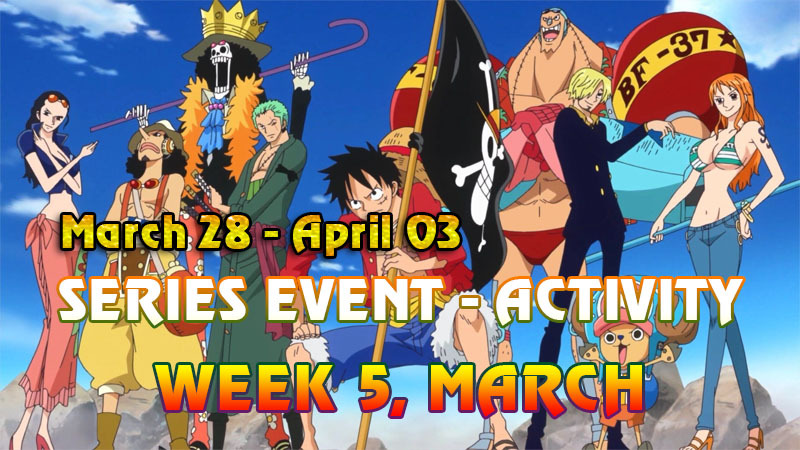 Time: March 28 - 23h59 April 03, During active time, the player gold used will be accumulated points. 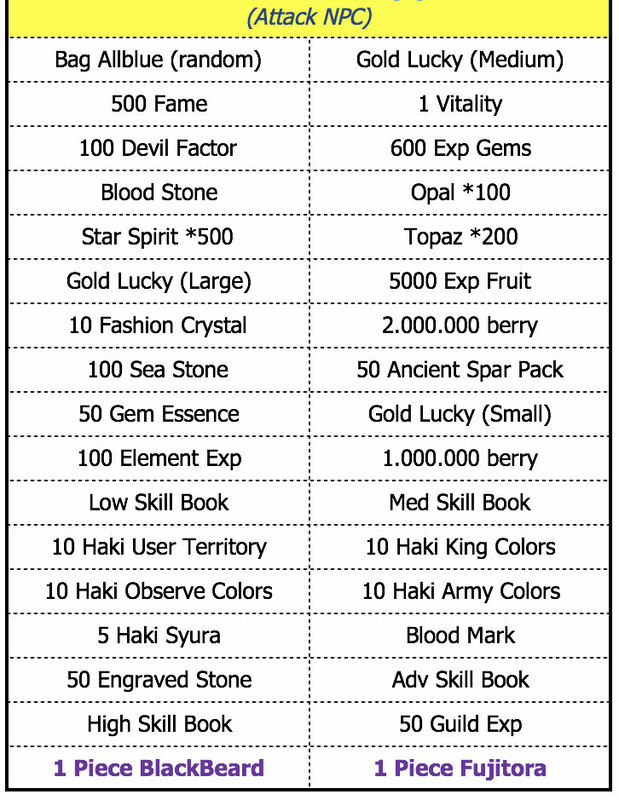 Cumulative points can receive many item valuable gifts.